Bebe and I are back to Sweden where reality awaits us! 11 August 2011 - 5th day in the UK: Lo, Bebe and I spent most hours of the day in the City of London and a few hours at night in the City of Westminster, London. It was in the City of Westminster where I unfortunately dropped my favourite silver ring. I couldn’t really figure out where I specifically dropped it and how. My finger was still wearing the ring while we were watching the Rise of the Planet of the Apes at the Empire Cinema in Leicester Square. I could have lost it while walking towards the Tube [The Underground Station] or was while inside the train. I realized that it was missing when we already reached home. Oh my… I did it again! 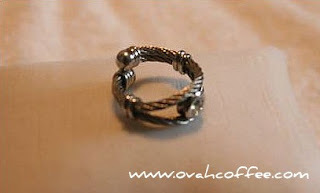 Goodbye my dear silver ring. Hope you're having a great time in London without me. Since the next day wasn’t scheduled for shopping [we headed to Southend in Essex],I wasn’t able to squeeze in some time to hunt for a replacement ring so I decided to wait awhile and promised myself to shop for a new one online instead. 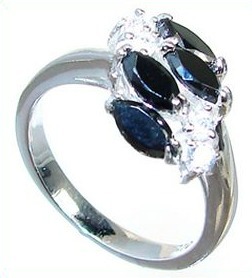 The Silver Island e-shop [http://www.silverisland2007.co.uk/] offers great clearance deals of up to 50% off on rings and other jewelry pieces such as sterling silver bracelets, necklaces, earrings, pendants and chains. They also sell designer watches for both gents and ladies so do check ‘em out! I have to say that Silver Island’s amber jewellery selection is also worth checking out. Their Honey Amber Sterling Silver Gemstone Ring is something I really fancy. She’s an attractive piece, isn’t she? If she’s only on sale, I’ll add it to my cart. She comes with a £29.99 price tag. I will probably have the website running on my computer for the next few days or so just to make sure that I will not be missing out on excellent bargains before closing my e-shopping cart. Oh, have I mentioned that every item you purchase at Silver Island comes with a premium gift box and a silver chain? Yes… both at no extra cost! How about you? Have you ever lost a piece of jewelry? Where and how? I am sorry to hear about the lost ring. 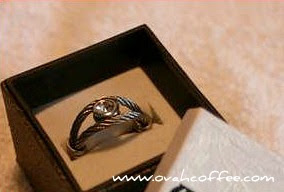 You can always get a new one but I am sure the sentimental value of the lost ring you can't easily let go of. Love and hugs from the Philippines. so sorry to hear about your ring! it is a bummer. Glad you had a great holiday, welcome home. Thanks for dorpping by my sitem greagt hearing from you. Hope your week has been better than mine. Welcome home sweetie, I'm sure London was a blast yay! The vacation was great :) Enjoyed it a lot. Thank you, Marzie. London was a blast! Yup. Riots quite destroyed a few plans but I still had a great time in the UK anyway. Oh, hope you find your necklace soon. I am missing a few things, too. Just realized it a few days back. I might have just misplaced them. Oh oh no.